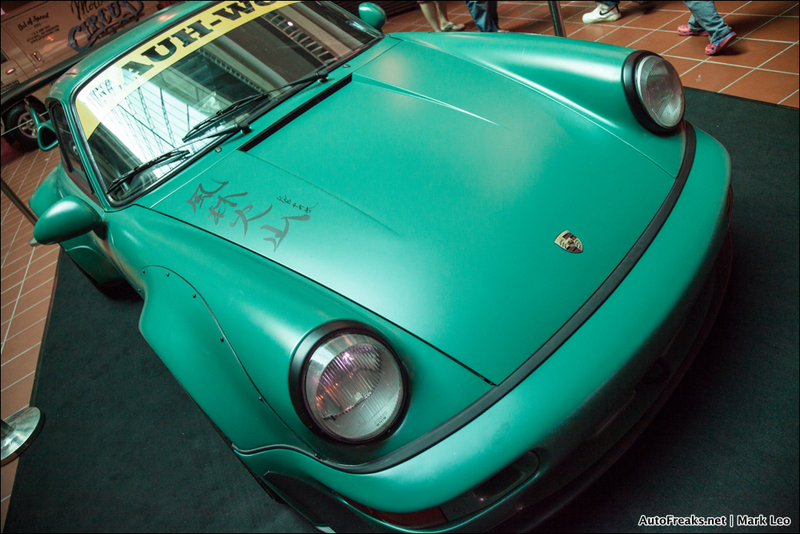 Last weekend I managed to chance upon a very weird green Porsche 964. It looked like the 964 but I just couldn’t tell. Maybe perhaps if you asked me to name the models of the Porsche, I would pretty much go bonkers because I think all Porsche look the same. 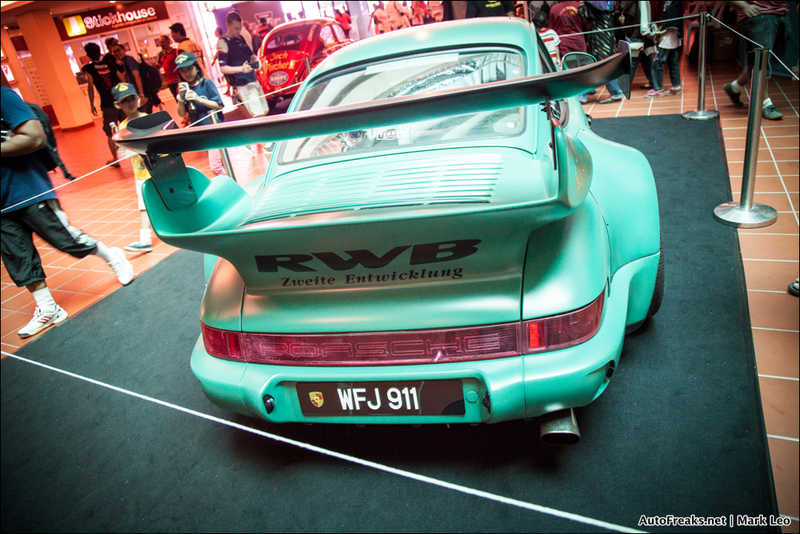 First of all, RWB, I was curious what it stood for. 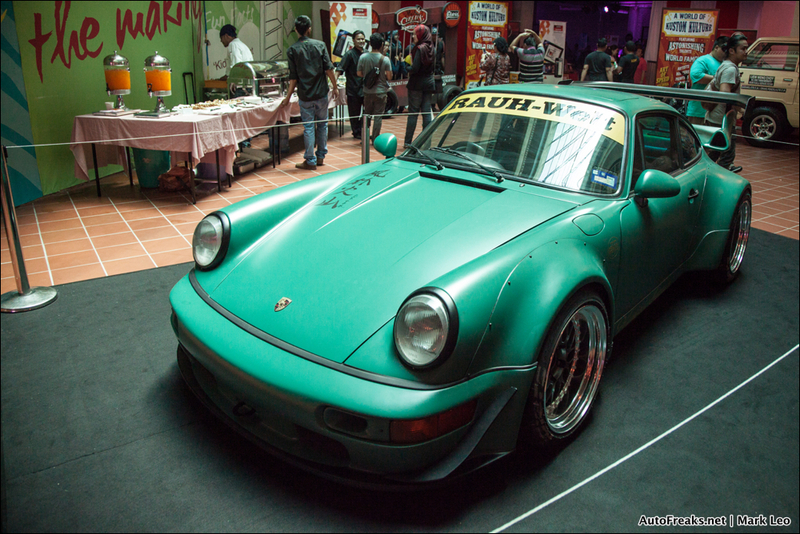 And when I found out that RWB stood for RAUH-Welt BEGRIFF, I think I got even more confused. Anyhow, these folks originated from Japan and blend in Japanese style and Western style of tuning. Their motto is that they will only build 1 RWB Porsche for each customer. The name synonymous with RWB? Nakai-san from Japan. So when I met Christian Coujin wearing a RWB Malaysia shirt, I just had to ask him a little bit about their plans and how it all happened. ML: How in the world did you end up in Malaysia here and started up RWB Malaysia? 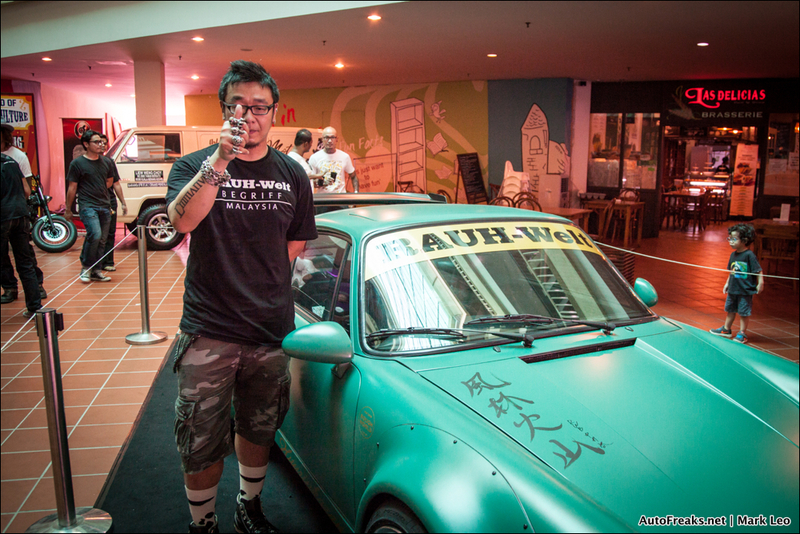 CC: Well my wife is from Johor and how I started up with RWB was that when I was in the US, I had my first RWB car built by Nakai-san in Seattle. I have been frequenting Malaysia since my wife would like to visit her family and I saw that there was a potential here in Malaysia. ML: I saw a number of photos on Facebook that Nakai-san recently was here in Malaysia. What was he up to? CC: He came down to build the RWB Porsche. There are currently two in Malaysia right now including the one here (pointing to the green one). 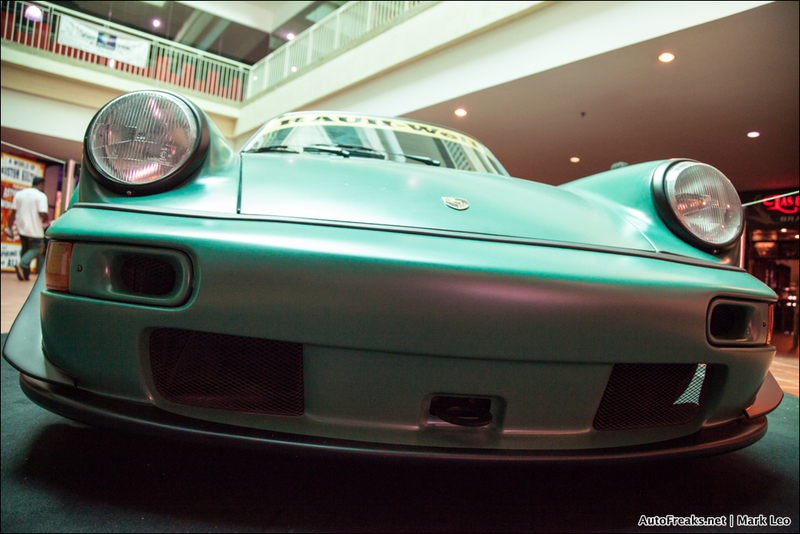 The first one was a Porsche 993 and the second which was this one (pointing to the green one) is a Porsche 994. 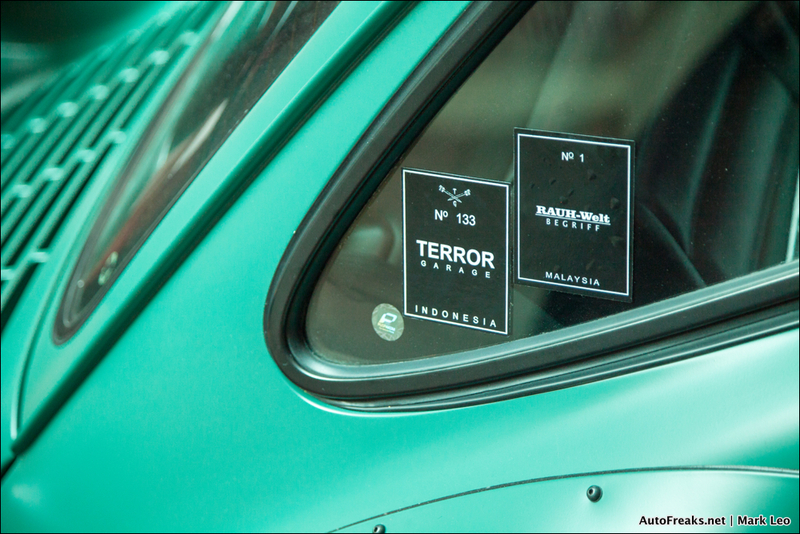 The bodywork was done up by Nakai-san. ML: So what is the philosophy of RWB and what made Nakai-san to do what he does now? CC: Nakai-san himself is a racer and on the track, he wanted the one thing most drivers want, traction. In order to achieve it, this is what he did. 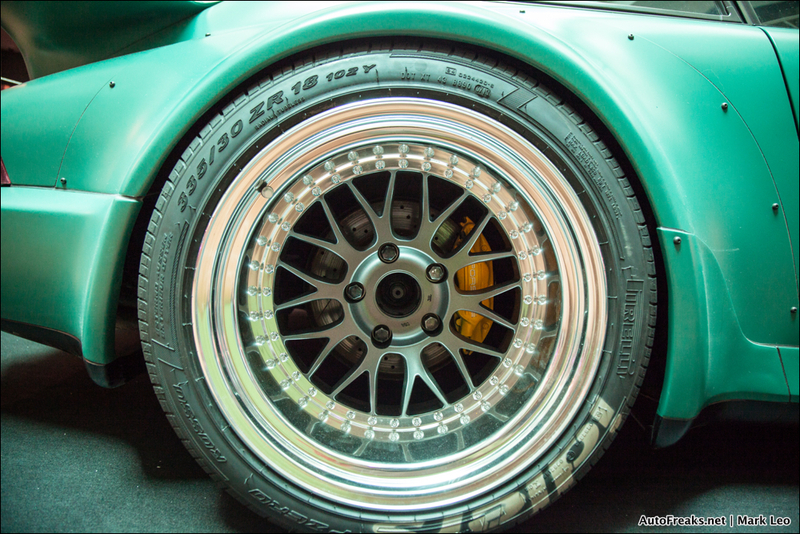 He gave the Porsche a wider stance and by doing so, he had to modify the fenders and wheel arches. RWB Porsche aren’t just for looks, they have to be able to perform well on the track as well. 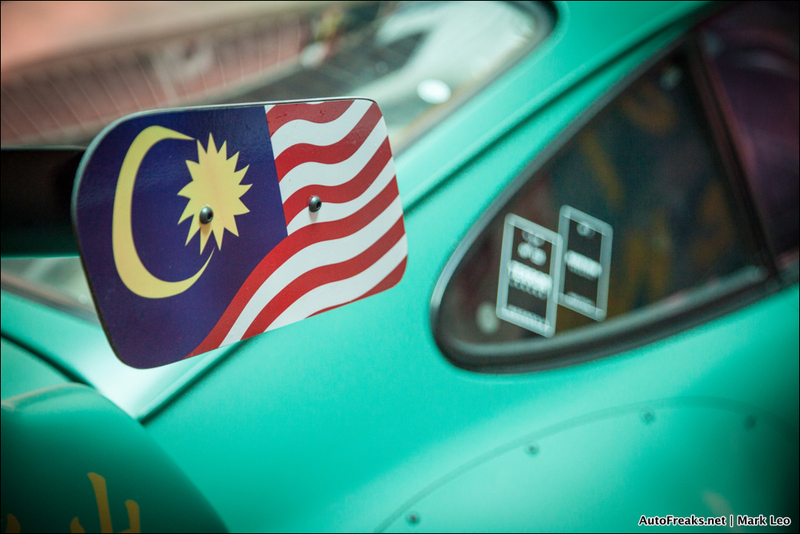 ML: Speaking of racing, has any of the two RWB Porsche clocked a time yet at Sepang? CC: Not yet but we are in the midst of planning for that. ML: Are the owners planning on bringing their cars for any local motorsport competition? CC: Actually yes, the first RWB (the Porsche 993) will be entering in the Oct/Nov session of the TimeToAttack competition and Nakai-san himself will be driving it. ML: So when is RWB Malaysia going to be launching? CC: We are targeting for a launch sometime later this year, perhaps in the October period. I definitely can’t wait for the launch and to see more local folks bring their old Porsche and get it done up by RWB. Of course after speaking with Christian, I also had a couple of chats with owners of old school Porsche. They on the other hand differ in their opinions how a Porsche is meant to be. To them, the Porsche should be restored back to it’s original condition but with modern parts. To me, the first thing that came to my mind was Singer which I wrote about them previously. At the end of the day, different people will have their own opinions but for me, ideally, I would love to have a RWB Porsche as a track car and a Singer Porsche as a daily driven car.